Mission Motorsport works to aid the recovery and rehabilitation of those affected by military operations by providing opportunities through Motorsport. Mike Burton our Armed Forces Rep in Halewood has felt the benefits of this great organisation first hand and takes every opportunity to help them where he can. 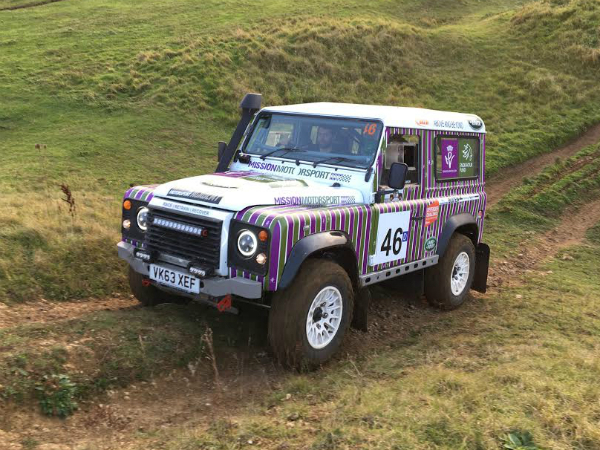 In November Mike supported a race track tutoring and off roading day which is one of many days Mission Motorsport arranges for wounded, injured and sick service personnel. For many the thought of leaving the house is daunting but activities like this are really important to get them active and concentrating on something for the day. Through the day there was of off road driving over a small but fast rally stage in a Bowler Defender previously used to compete in last year’s Defender challenge. Those with limited or no off road experience were given basic off road car control instruction in a Discovery 5. There were also classic cars there for everyone to see up close, such as; a Tomcat, Land Rover 90, Discovery sport and Range Rover classic from JLR Heritage which made it a really varied experience but also gave everyone as much driving time as possible. The day was a fantastic success and gave people a break from thinking about their struggles and hopefully helping them in getting the courage to go to more events and ultimately find employment.